The Mountainstar chalets were built exclusively for our guests in 2010. The emphasis is on style, comfort and attention to detail and the chalet Charon is proving to be one of our most popular in St Anton. The location is on an elevated area close to the Nasserein gondola offering quick access to the skiing in the mornings and fine views of the valley from many of the rooms. The chalet has its own wellness area with ‘4 person jacuzzi style bath’, sauna, relaxation and shower/wc, perfect for relaxing those aching muscles at the end of the day. 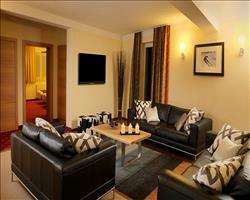 The open plan lounge/dining area in the chalet has a fireplace, flat screen TV/DVD and a terrace. 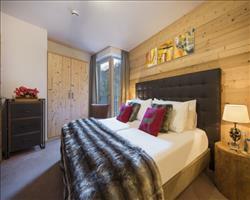 The ski and boot room is on the lower ground floor and shared with the Larissa, Thebe and Janus chalets. 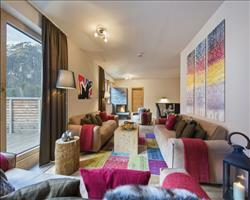 Ski and boot room is on the lower ground floor and shared with the Larissa, Thebe and Janus chalets. Open plan living/dining-room with fireplace, Stairs leading down to wellness area on lower ground floor. Vegetarian options are always available , and other special diets are available at a supplement if booked in advance. Children aged11 years and over are welcome in all chalets on all dates. Children10 years and under are also welcome as follows – in chalet on any date where one group books the entire chalet for their exclusive use. We serve a separateHigh Tea at 5:30pm for children aged 10 years and under with an appropriate menu. Unless children are part of an ‘exclusive use’ whole-chalet booking in chalets, it is not possible for children aged 10 years and under to eat at the adult sitting. However, where children aged 10 years and under are part of an ‘exclusive use’ whole-chalet booking, parents may elect for their children to eat with them at the adult meal times on payment of a £39 per child per week supplement. We update Chalet Charon's details often, but facilities do change. e.g. some extras listed by the supplier as "free" or included might only be for the first time you use them, or for one time per party, then charged for further use. If any specific feature is essential to your holiday, make sure you ask us to confirm the details of it before you book your holiday. St Anton lift pass price last reported as €228 (adult 6 day). Ask for a quote when booking Chalet Charon. 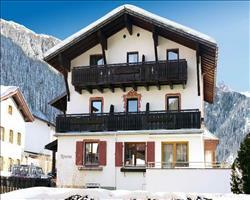 Chalet Cirrus St Anton Austria, Gatwick to Friedrichshafen 11th January. Chalet Rosanna St Anton Austria, Dover Ferry 14th December. Chalet Pepi Gabl St Anton Austria, Dover Ferry 14th December. 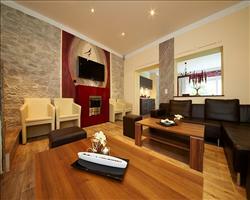 Chalet Galzig St Anton Austria, Gatwick to Friedrichshafen 4th January. 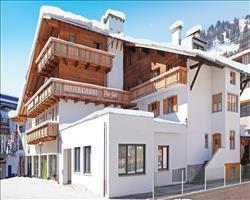 Chalet Mooserwirt St Anton Austria, Gatwick to Friedrichshafen 4th January. 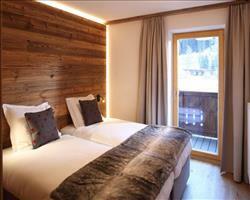 Chalet Monte Vera St Anton Austria, Gatwick to Friedrichshafen 11th January. 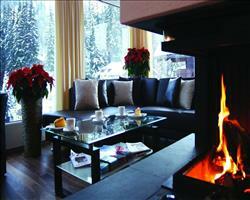 Chalet Valluga St Anton Austria, Gatwick to Friedrichshafen 11th January. 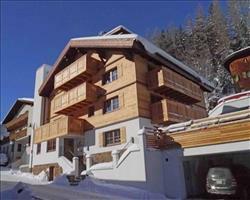 Chalet Nimbus St Anton Austria, Gatwick to Friedrichshafen 11th January.